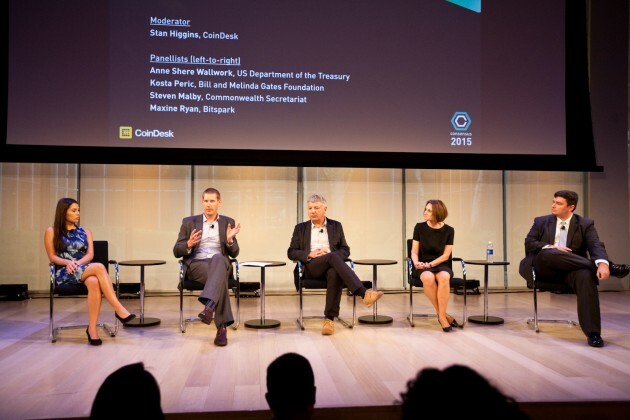 CoinDesk’s inaugural conference, Consensus 2015, took place at New York’s TimesCenter yesterday with speakers including Blythe Masters, Kosta Peric and Wences Casares. 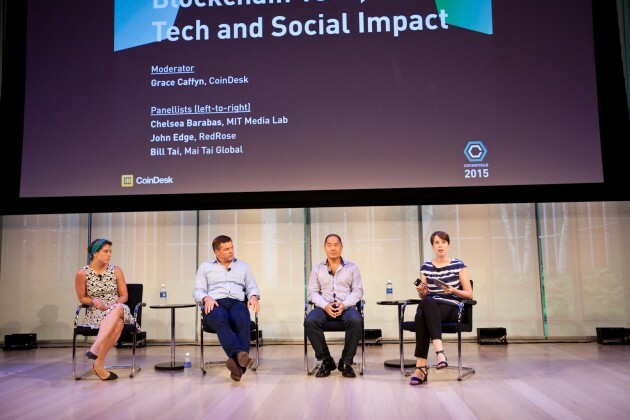 The afternoon sessions were kicked off by CoinDesk’s Joon Ian Wong, who led a one-on-one session with Debra Brackeen, the global head at Citi’s Innovation Center. 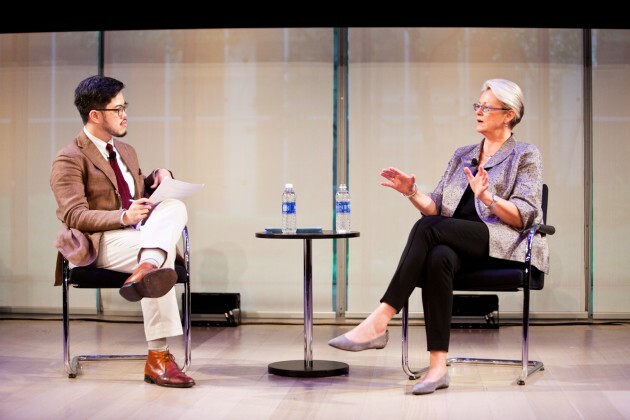 “We are looking at use cases including clearing and settlement and trade finance,” she concluded. Barabas, on the other hand, explained a lot of students at MIT were focused on the actual technology rather than potential problems or solutions and perceived the blockchain to be a “viable toolkit for solving problems”. Tai joined the debate, providing a commercial perspective and commented that bitcoin was not a problem looking for a solution. “What we want to do is to build an architecture that has an API that anything can run on it,” he added. 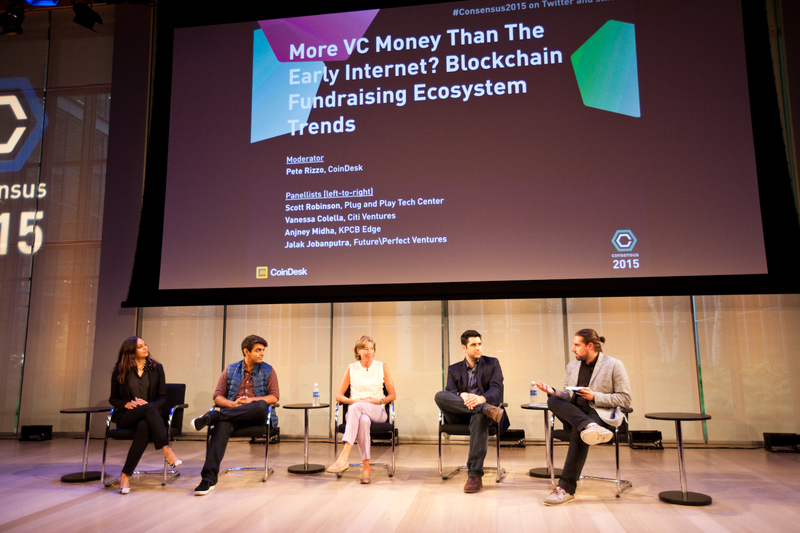 All the panelists highlighted the blockchain’s disruptive potential and Jobanputra said she was encouraged by what she had seen to date. 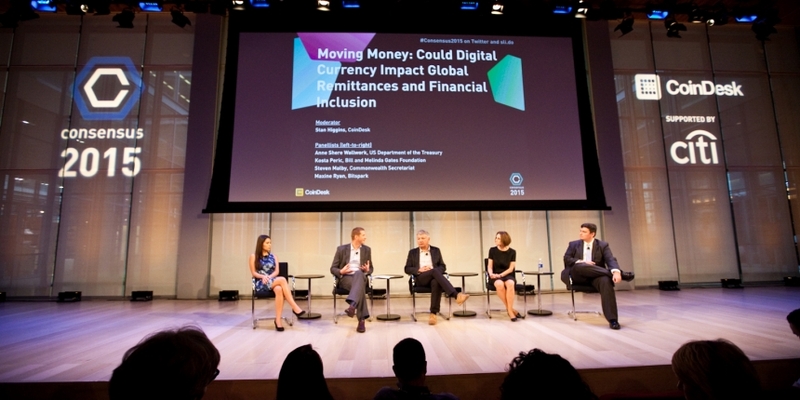 The panel about the potential impact of digital currencies on global remittance and financial inclusion was moderated by CoinDesk’s Stan Higgins, who led the discussion with Anne Shere Wallwork, of the US Dept of the Treasury; Kosta Peric, of the Bill and Melinda Gates Foundation; Steven Malby, of the Commonwealth Secretariat; and Maxine Ryan, of Bitspark. During the session, Jim Newsome, of Delta Strategy Group; Martine Niejadlik, formerly chief compliance officer at Coinbase; Joe Colangelo, of Consumers’ Research; and David Tait, of the Commonwealth Secretariat, focused on the topic of regulation. CoinDesk’s managing editor Emily Spaven led a discussion which explored the possibility of bitcoin micropayments taking the digital currency mainstream. 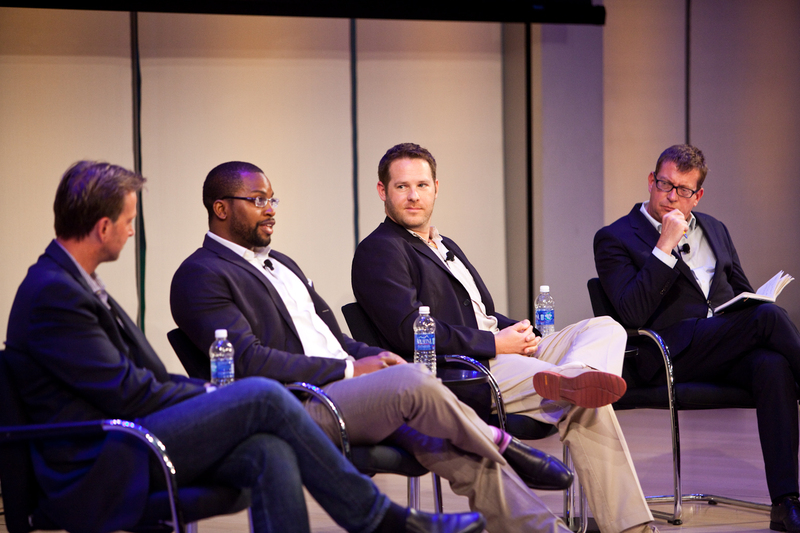 During the session, Spaven questioned Dan Morehead, of Pantera Capital; Wences Casares, of Xapo; and Hernan Botbol, of Taringa on the topic, with panelists discussing the inner workings of micro-tipping platform ChangeTip and Taringa’s partnership with Xapo to integrate a bitcoin ad revenue sharing model. 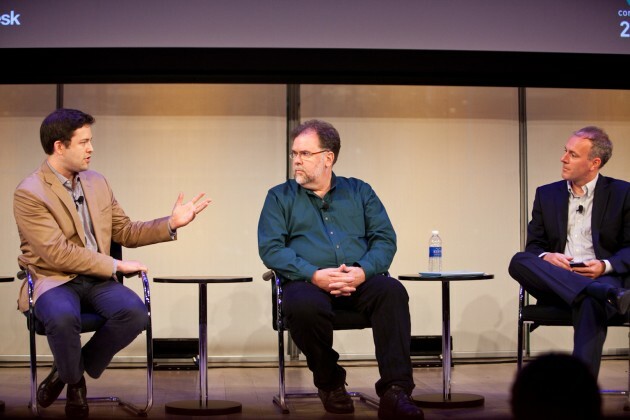 Garrick Hileman returned to the stage to give an overview of bitcoin’s history alongside Nathaniel Popper, of the New York Times and Christopher Allen, an Internet security pioneer. The panelists looked at the origins of cryptocurrencies, touching on the Cypherpunk movement and noting how the cryptocurrency was influenced by Sci-Fi novels of the ’60s and ’70s. 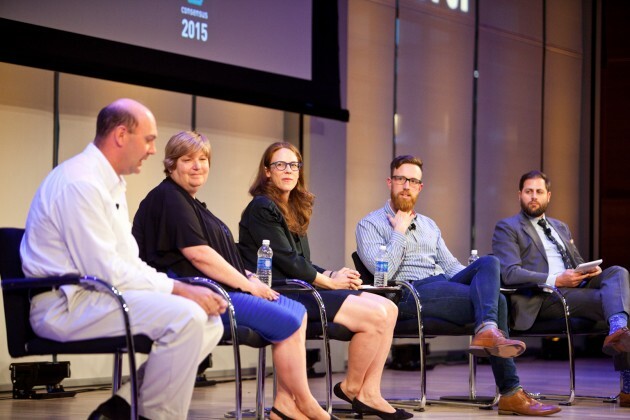 Panelists discussed the potential of blockchain technology, with Taylor describing both the digital currency and its underlying distributed ledger as the “new silver bullet” for financial institutions. 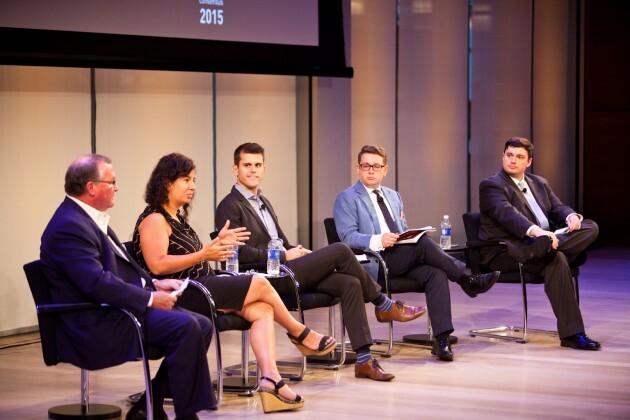 According to Faura, micropayments and the Internet of Things will be one of the game-changers. “The whole thing will change when Central Banks issue currency on distributed ledgers,” he added. CoinDesk’s inaugural conference came to a close following a panel moderated by Ben Parker of IRIN News and featuring Bill Barhydt of Abra, Olawale Ayeni of Orange Silicon Valley and Alan Grundy of International Rescue Committee. 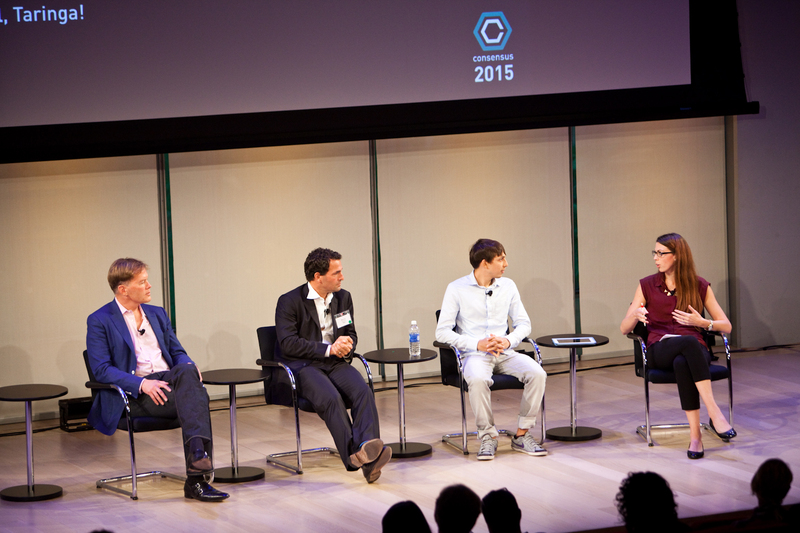 To follow the day’s proceedings, check out our live blog of the event as well as tweets via the hashtag #Consensus2015.